'S e 3 am Faoilleach an treas latha dhen bhliadhna a rèir a' Mhìosachain Ghriogaraich. Tha 362 latha (363 ann am bliadhna-leum) air fhàgail gus deireadh na bliadhna. 1959 - Ghabhadh Alasca a-steach mar 49mh stàit de na Stàitean Aonaichte. 1883 - Clement Attlee, Prìomh-mhinistear Bhreatainn (bàs: 1967). 1956 - Mel Gibson, actair Aimearaganach/Astràilianach. 1969 - Michael Schumacher, dràibhear Gearmailteach. 1942 - László Sólyom, ann am Pécs. Fear-poileataigs às an Ungair. 1963 - Stewart Hosie, ann an Dùn Dè. Neach-poileataigs Albannach. 722 - Ban-ìompaire Gemmei à Iapan (rug: 661). 1322 - Rìgh Philip V na Frainge (rug. 1293). 1875 - Pierre Larousse, deasaiche Frangach (rug. 1817). 1903 - Alois Hitler, Athair Adolf Hitler (rug. 1837). 1923 - Jaroslav Hasek, Sgrìobhadair-nobhail Teiceach (rug. 1883). 1959 - Edwin Muir, sgrìobhadair is eadar-theangaiche Albannach. 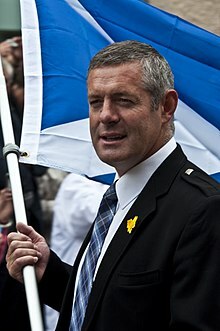 Air a tharraing à "https://gd.wikipedia.org/w/index.php?title=3_am_Faoilleach&oldid=544937"
Chaidh an duilleag seo a dheasachadh 3 dhen Fhaoilleach 2019 aig 10:11 turas mu dheireadh.